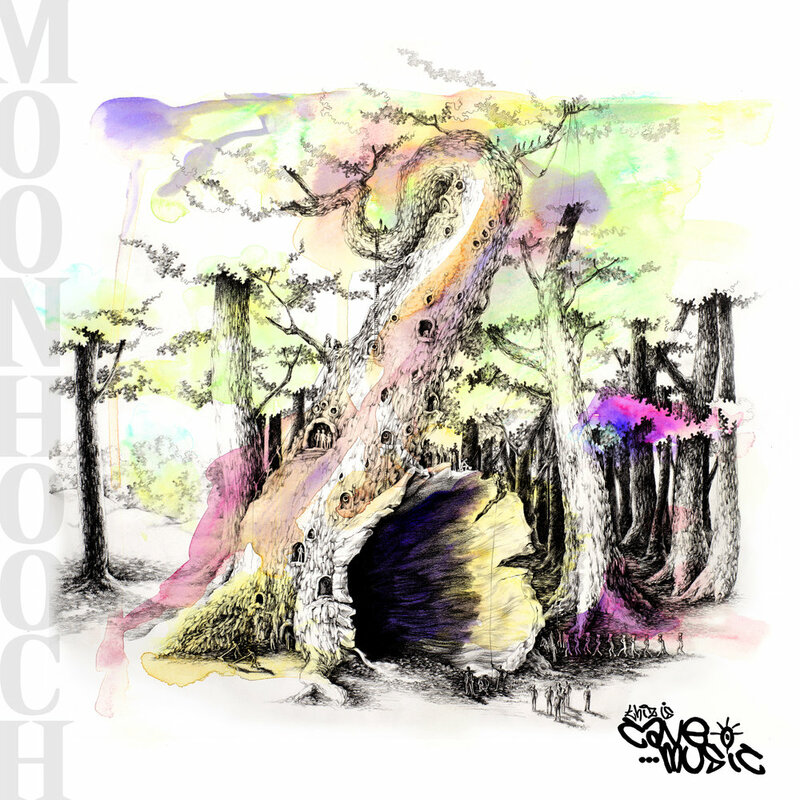 Hornblow Recordings and Palmetto Records released Moon Hooch’s second album, This Is Cave Music, on Sept 16, 2014. The title refers to the term Moon Hooch coined to describe their unique sound: it’s like house music, but more primitive and jagged and raw. Horn players Mike Wilbur and Wenzl McGowen do this by utilizing unique tonguing methods, or adding objects — cardboard or PVC tubes, traffic cones, whatever’s handy — to the bells of their horns to alter their sound. Not to be outdone, drummer James Muschler gets swelling, shimmering sounds from his cymbals, and covers the head of his snare with a stack of splash cymbals to emulate the sound of a Roland TR-808 drum machine’s clap.